The Metal Gear Solid 4 patch with Trophies is now live across Europe and the rest of the world. In addition to adding trophies, the patch also adds the “full install” option, allowing gamers to install all data to their hard drive. The “full install” option means you can skip the install screen between completing chapters, so you get a smoother gameplay experience. 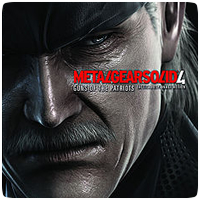 Checkout the MGS4 Trophy List here.